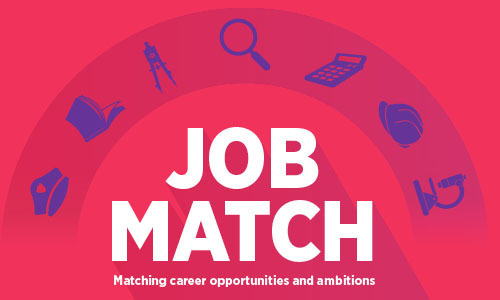 Job Match by Western Careers connects Australia’s leading employers to students and graduates. Whereas Career Hub lets you explore job boards to see what you might like to apply for, once you’ve created your profile on Job Match, the jobs come to you. You’re matched to a range of full time, part time and internship opportunities that suit your skills, experience and qualifications. You can then apply, knowing that you’ve got what it takes to be in the running as you’ve been invited to apply. Sign up and build your profile today, to get opportunities that are right for you delivered to your email inbox. Employers input the education and skills they are looking for and an algorithm presents matched candidates. Employers are then able to send direct messages to matched candidates about the job position. Students can then assess whether they like the opportunity and simply follow the application process from the employer. What if I decide I’m not interested in an opportunity offered to me? If you do not think the opportunity you have been contacted about is right for you, then simply do not respond to the message or follow the application process. Can I use my WSU student account to access Job Match? You can use your WSU email address but will be required to set up a new account and agree to the sites terms and conditions. Through this service, your information is hidden until such time as you receive an employment opportunity and decide to apply. This is intentional so as to protect your privacy, and remove unconscious bias. What if I don’t receive any employment messages? Please ensure your profile is set to active. Alternatively, please send Lode a message for help using the online help function. There is an onsite help function, alternatively you are welcome to call Lode on 1300 326 446.